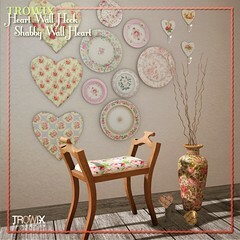 Two new textures from Trowix this week, dirty & clean. 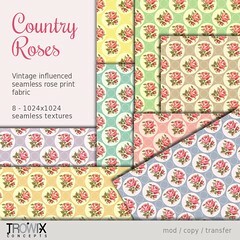 Nice for shabby, nursery, coastal, numerous styles and items. 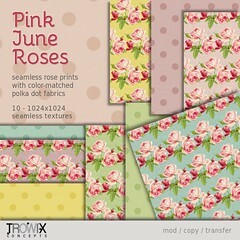 Original patterns for your original designs. 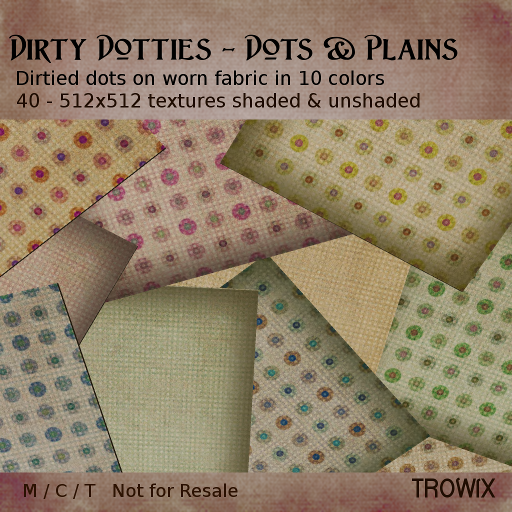 And the dirty texture pack, full of dots in brights and bolds and comfy looking worn canvas – like plains. 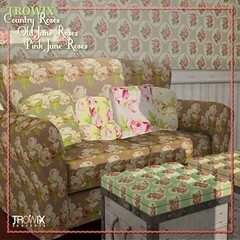 The colors mix and match well, many combinations with 40 textures. 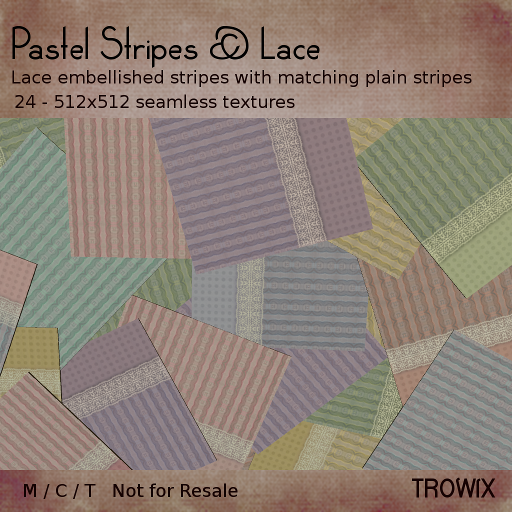 So, if you’ve a hankering for dots… or lace.. or stripes. Run by the Barn or stop by our Marketplace store. Dot’s about all for today! 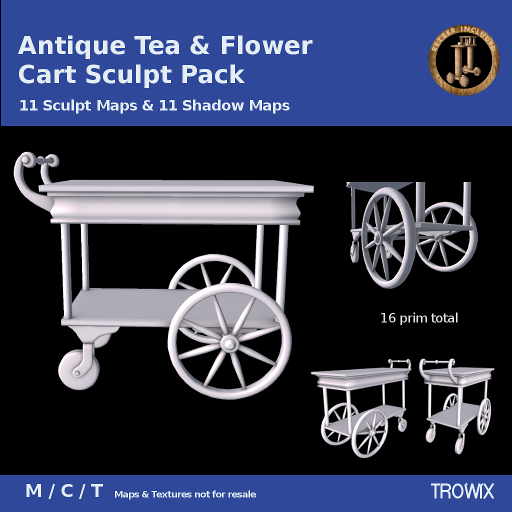 Tea Cart… Wait. 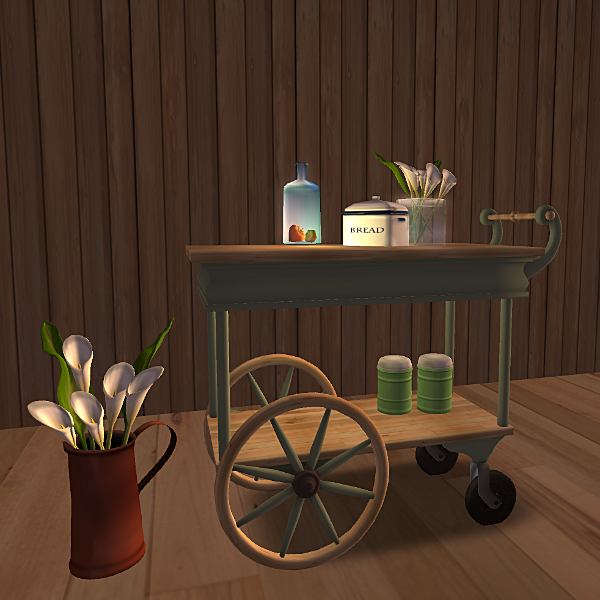 Flower Cart! No matter what you call it, it will still be as cute! 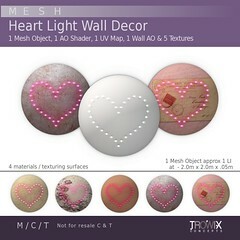 A wonderful, fun sculpt for all the empty corners in your Second Life. Anything displayed on this beauty looks fabulous. Vix started piling everything from breadboxes to flowers on it. Details, details, so many details! Still only 16 prims. 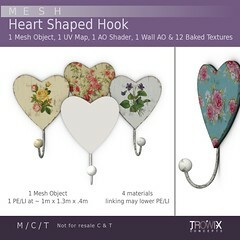 Love this wonderful curvy handle & shadows for every piece! 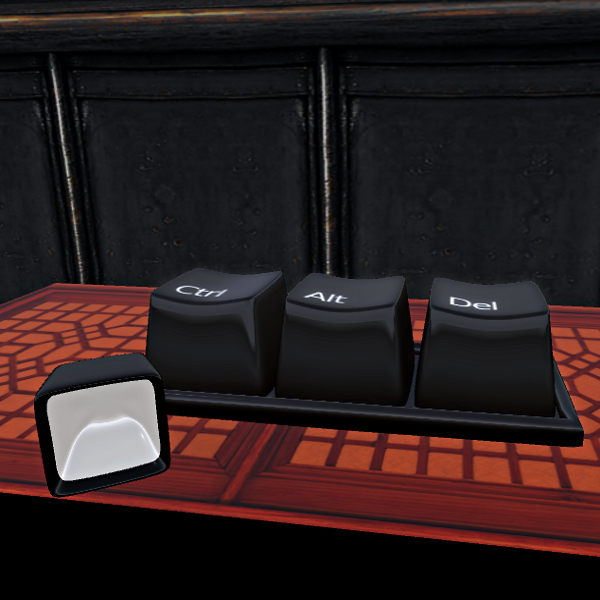 Detailing like this makes it easy to be realistic with texturing. Mmmm! Pile on the flowers, the pots. Make a garden on wheels! A more contemporary version. 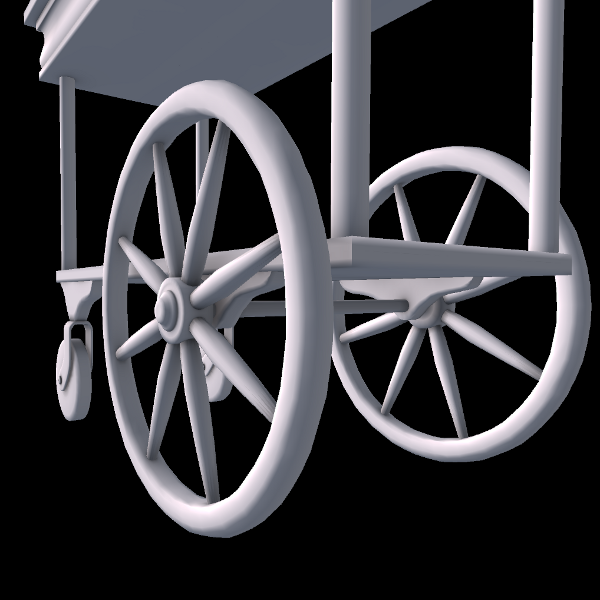 It’s easy to fit this cart into so many styles. 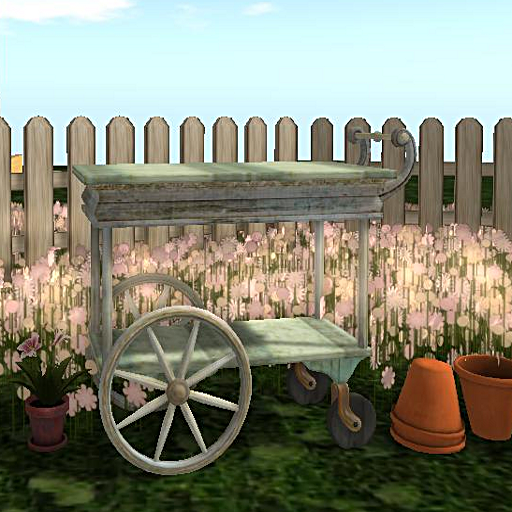 You’ll find this beauty at the Trowix Barn and on Second Life’s Marketplace. That’s right! One of the best full perm hunts out there and Trowix has a hunt giftie for it! 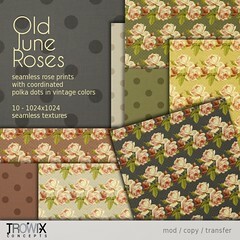 The theme is “VINTAGE FANTASY, meaning its all about vintage, retro, creativity, color, grunge”. Yay! Cute, curvy & free for the finding! So get out your sleuthing shoes and join us at the Barn! Tripping the Lights ~ Fantastic! 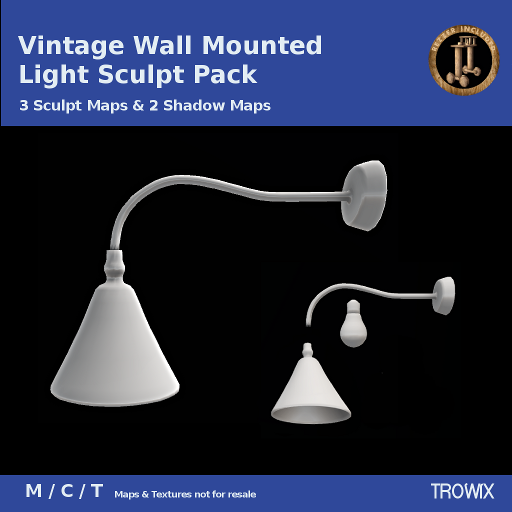 First off – the Vintage Wall-Mounted Lamp. We had fun with this one! 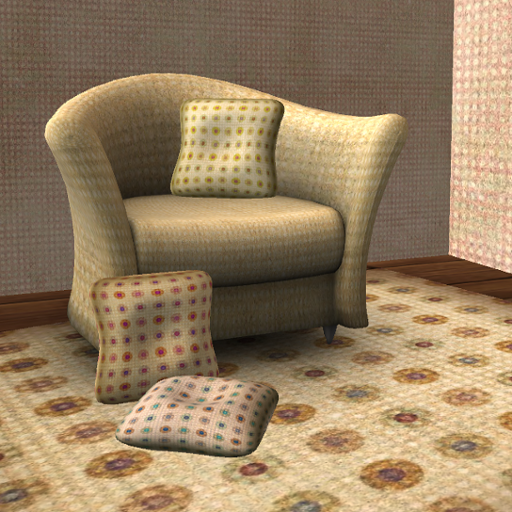 Textures beautifully & looks great with our Country Attic pieces. Of course we had to use one for the Barn Sign … and the moths. 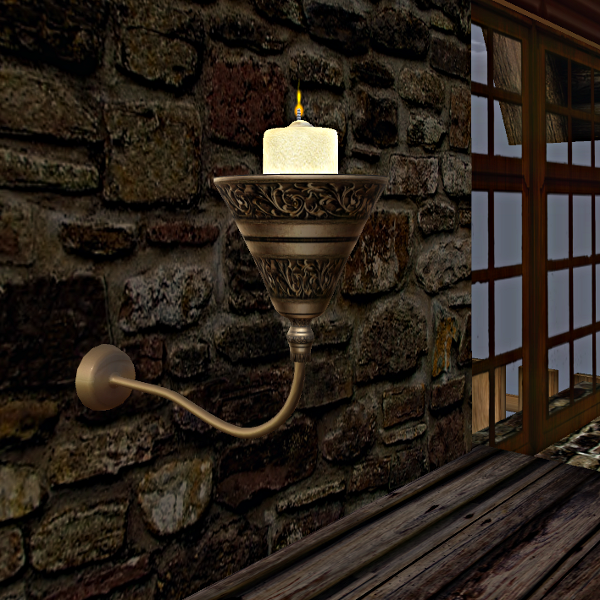 Turned it upside-down and got this nice sconce-ish look. Actually, with no delusions of grandeur, our 2nd new light. 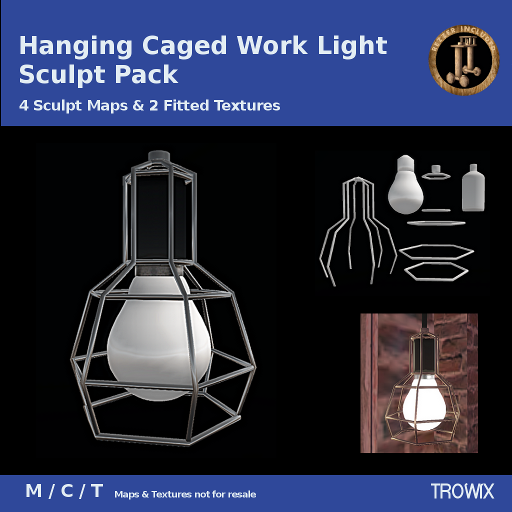 The Hanging Caged Work Light. 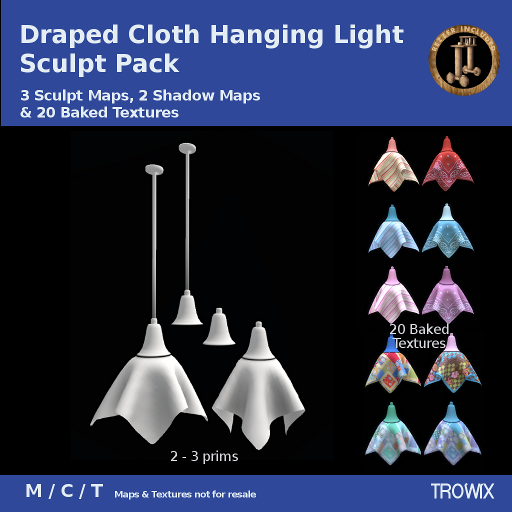 A simple hanging work light design with a sculpted protective cage that can be wall-mounted for marine applications or Steampunk to mention two. The cage is 2 prims to assure LOD2 and good definition. 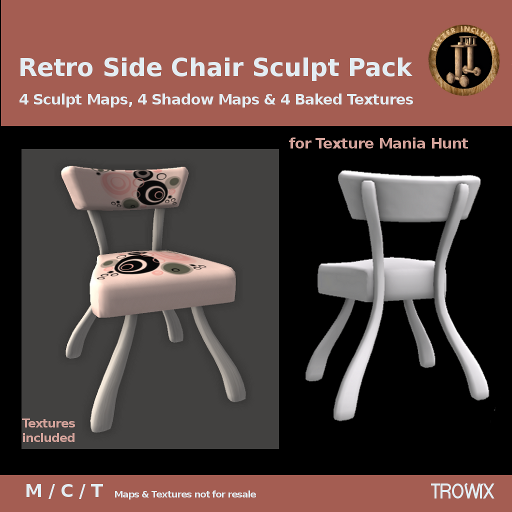 No texture is really needed for this, just color & add shine. 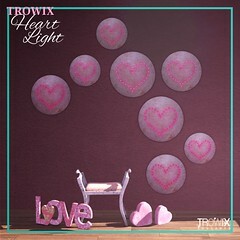 A great repair light, but looks like sparkly jewelry inside. 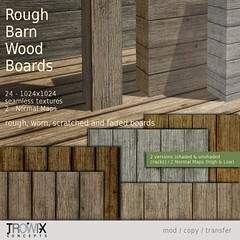 Minimal pretties in the Barn and on SL Marketplace for you. It’s just a … MESH! 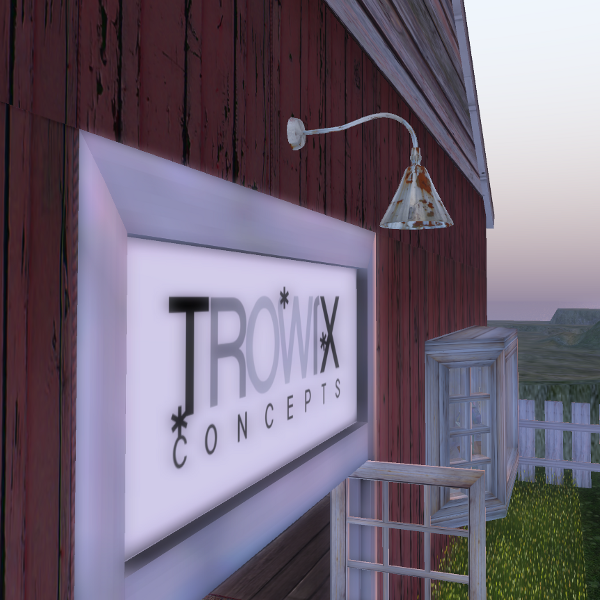 Although the Lindens are still working on getting all servers upgraded to mesh capability, at Trowix — we have MESH! 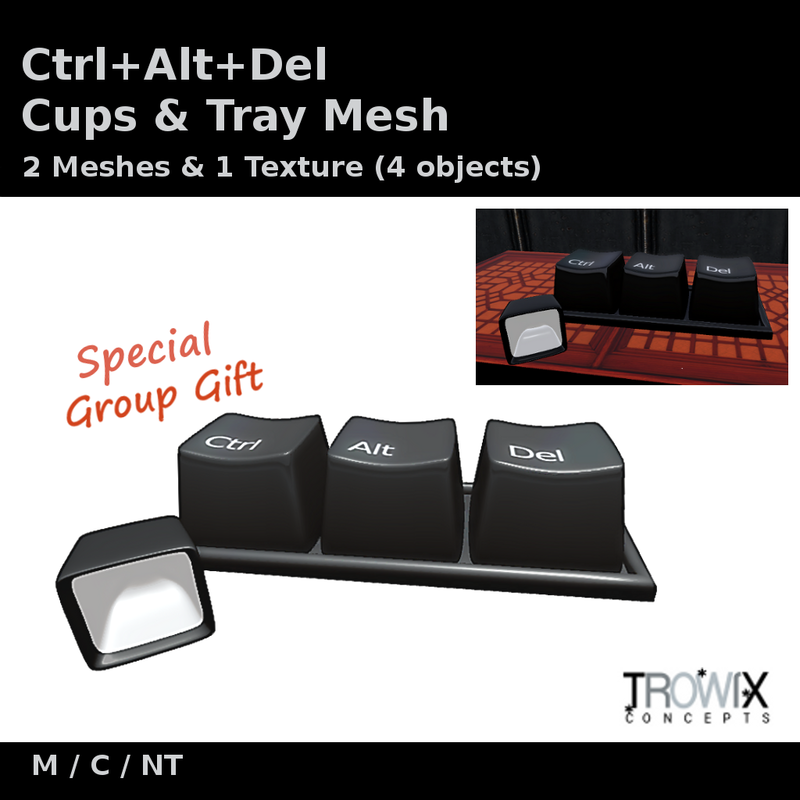 One of the meshy things Trowa made in preparation for the mesh upgrade is now a gift for our group to see, feel, mush, smush, poke, bend and spindle. 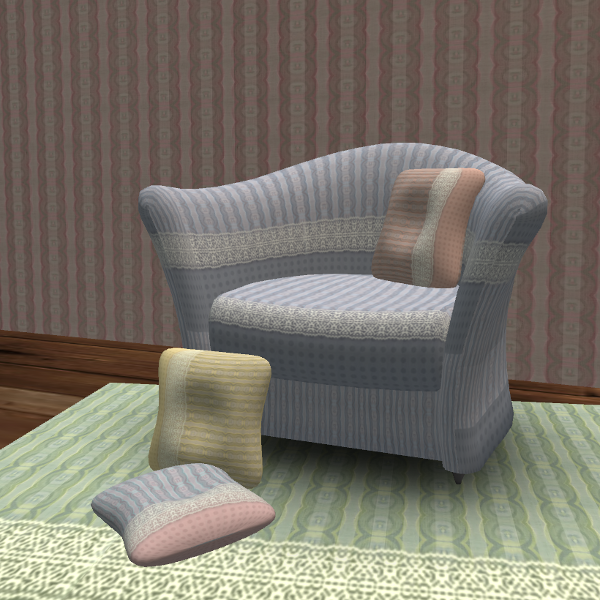 It does require a mesh viewer & a mesh enabled sim. Ahhh, Sake cups! 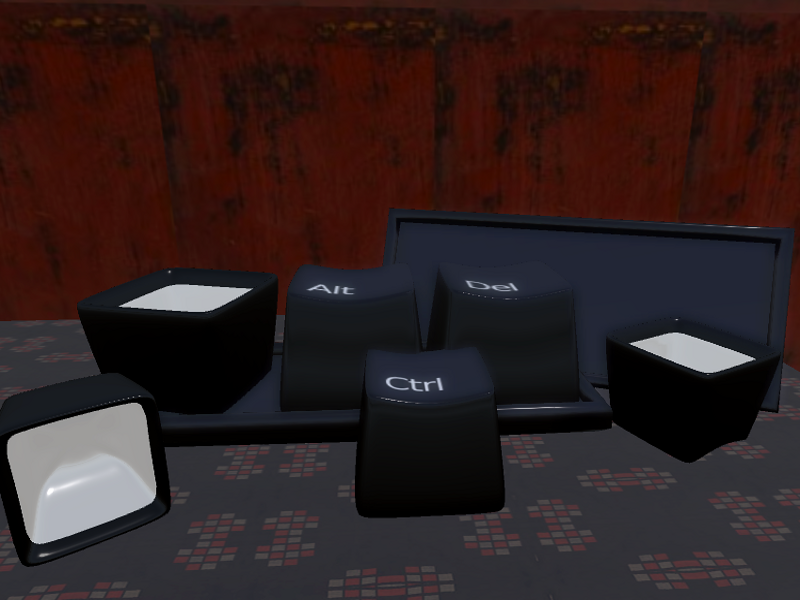 or are those computer keys? Both! ^^ Just a little reminder that sometimes you have to restart to get the results you want. A little dark, but you can see the smooth texture and shine. I love how the subtle curves are handled so well. …but, as nice a mesh looks, it will not replace sculpts. 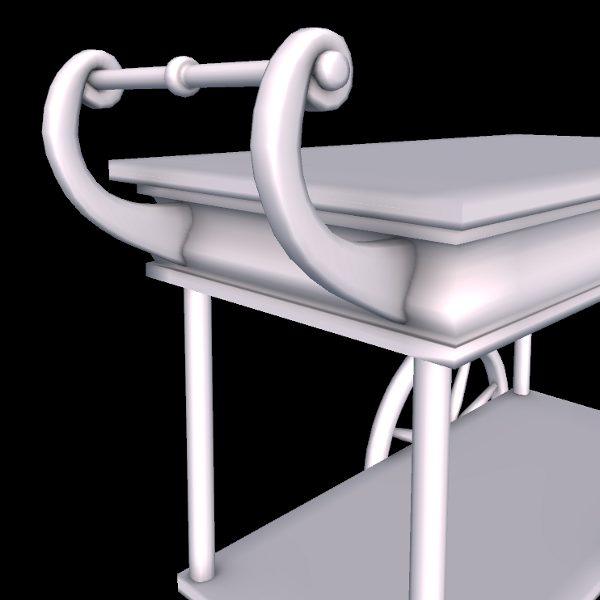 Sometimes a mesh will be advantageous, and sometimes a sculpt…sometimes a prim, too. 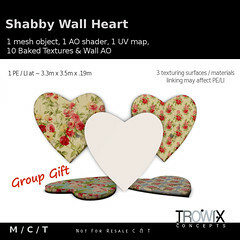 You can receive your group gift here, at the Barn. Slightly re-purposed for romance. 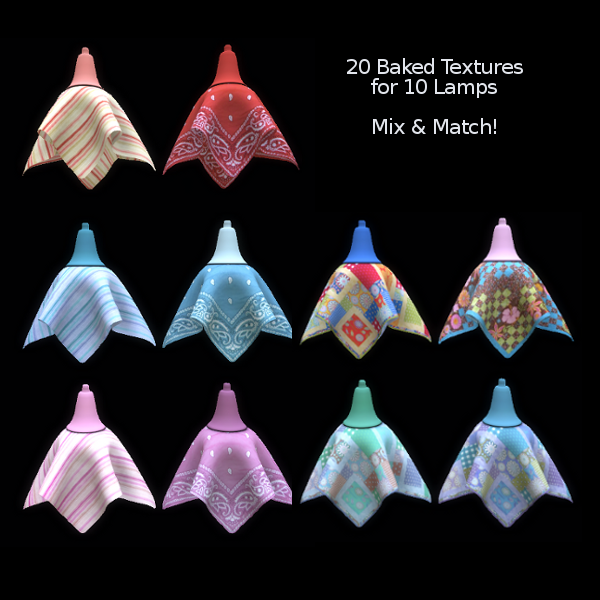 Have you ever tossed a scarf over a lamp? Well, we did! 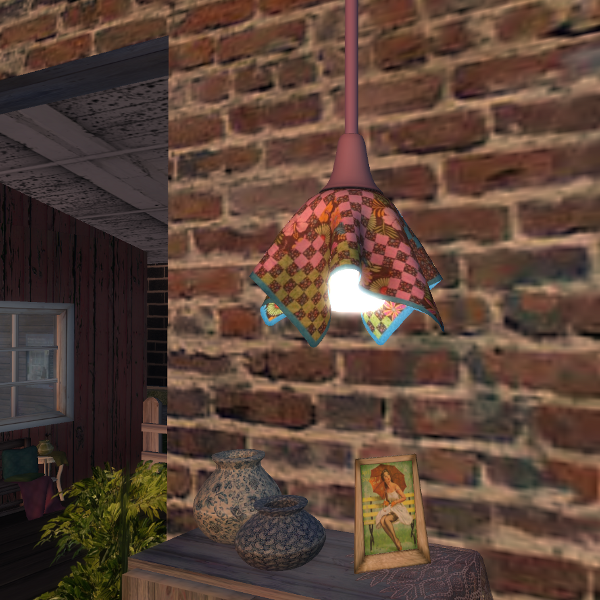 A quirky-sweet lamp for your builds. 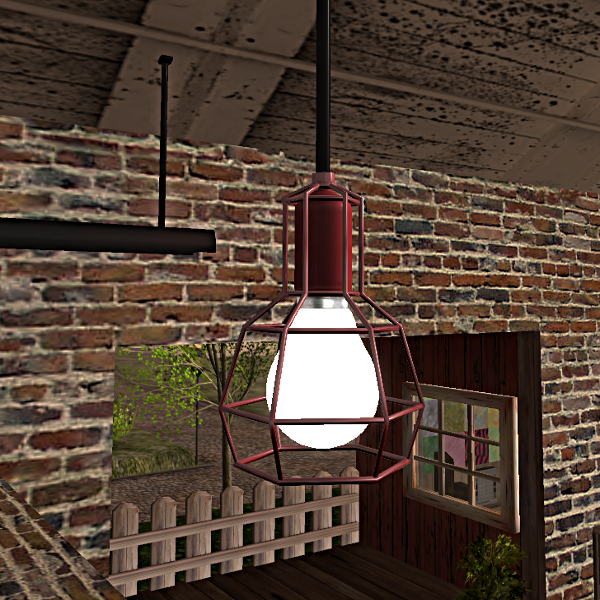 We included 2 versions of the hanger for any ceiling height. 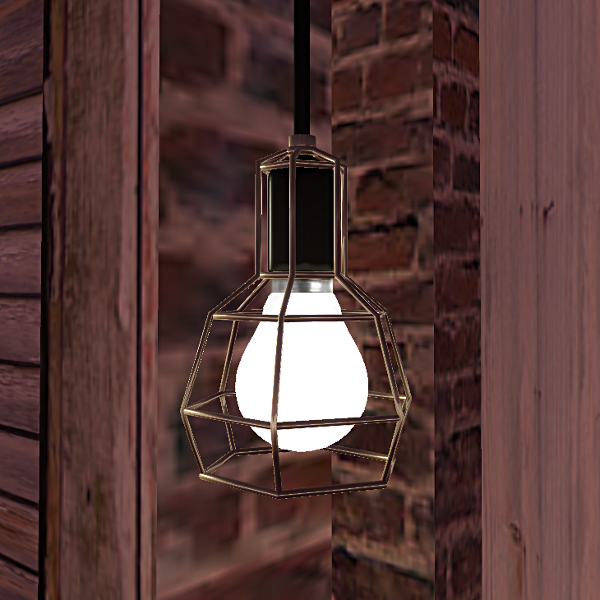 The bulb from the Ribbon Lamp was used in this example. 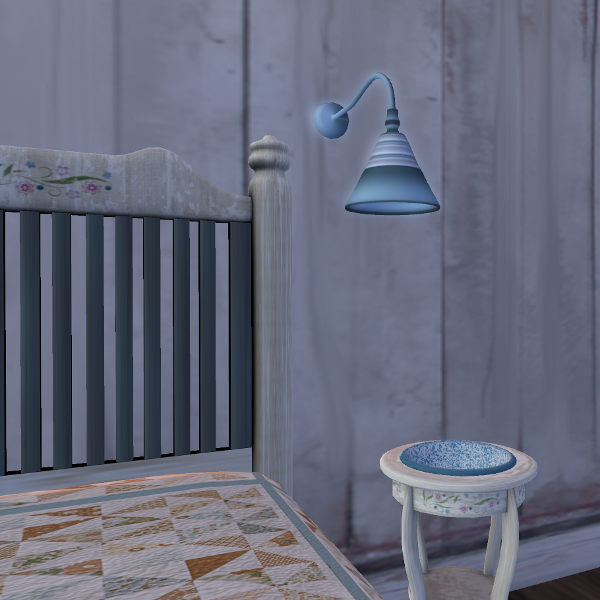 Building Tip: To avoid the “invisible” look to drapey sculpties, just pull a copy down and check ‘Mirror” under the Sculpt window on the Object tab and link with your other prims. ***Our Rezzer does this for you, but it’s handy to know. Goodnight from the New Trowix barn.